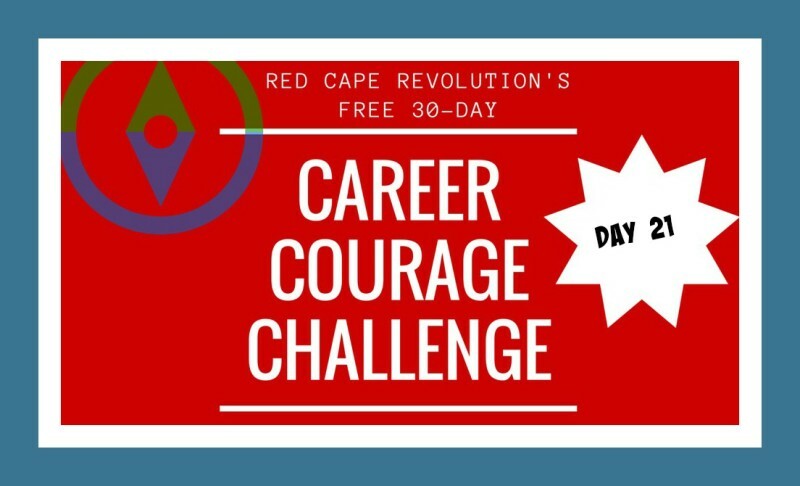 It’s Day 21 of our Career Courage Challenge. We’re in the homestretch! Tell us about your own courage challenges in email or in the Comments at the end of this article, or on Facebook and LinkedIn, too. I’ve been taking the challenges along with you–read my notes in each day’s Comments. As a busy professional, you have a million different sources for information and advice. TV. Radio. Facebook. Blogs. Magazines, newspapers, and even other people. But when you really need good information, the kind that helps you make smart, big-picture decisions, you need to listen to the best source: YOU. But that can be confusing, too. Because our heads might say one thing, the logical thing, the expected thing. That’s what our heads do. But our heads aren’t always right. And our hearts can say something else. But our hearts, alas, also aren’t always the perfect influencers, as anyone whose heart’s been broken knows. Today, let’s grow our courage by taking a minute to listen to our gut instead. Yes, our gut. That point deep inside you, often around your belly button, that sends you signals about what feels right to you, even if you can’t make sense of it yet in your head. Scientists have discovered more than 100 million neurons in our digestive systems, creating a powerful information stream, if we’re only tuned-in enough to hear it. What’s your gut saying right now? Listen to my short guided audio and see.